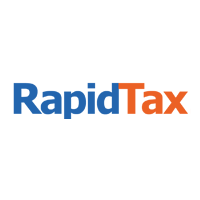 If you are not able to finish your 2018 tax return by the April 15th deadline, you can simply file a tax extension online with RapidTax! It will give you an extra six months to file your return. You must file an extension no later than April 15 since the IRS will not accept a request for an extension after that date. A tax extension automatically gives you until October 15th, 2019 to file your return with the IRS without incurring any failure-to-file penalties. Just create an account here and follow the instructions. Filing an extension is completely free and only takes a few minutes. Then, you can log back into your account anytime over the next six months to prepare your return at your own pace. Please note: Tax extensions will be available starting on March 20th, 2019. However, an extension does not give you an extra six months to pay. When you file your extension and you have a tax liability, you will have to estimate and pay any taxes you owe to the IRS. Thus, a tax extension does not let you avoid paying your taxes, but it will grant you extra time to prepare your return. Create your account now to e-file a tax extension for free.